Dr Enatsu is the first and only dentist in Asia with the distinction of being Mentor to teach at the world renown Kois Center (for Advanced Restorative Dentistry) in Seattle, Washington. This distinction is given to graduates of Kois Center who have demonstrated a thorough and working knowledge of Kois Center concepts and methods by passing comprehensive examinations and also keep their knowledge up-to-date by attending the Annual Kois Center Symposium. The American Academy of Cosmetic Dentistry has developed a credentialing program to help the public find excellent cosmetic dentistry care. 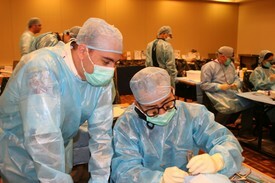 Once a cosmetic dentist has attended two annual meetings of the academy, he or she is eligible to take a written examination to demonstrate a mastery of the concepts, techniques, and materials of cosmetic dentistry. Upon passing this examination, the academy awards recognition as a “sustaining member” of the academy. Having met the above requirements and thereby demonstarting his extensive knowledge of cosmetic dentistry, Dr Enatsu is a sustaining member of the AACD. 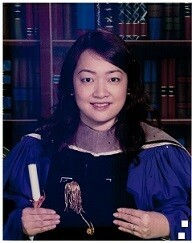 Graduate of theUniversity of Illinois at Chicago (UIC) in “Microscopic Endodontic Techniques” (2001)and “Microscopic Endodontic Course”(1999) with Dr Buchanan (Santa Barbara). Dr Enatsu was the first dentist from Asia, to attend theCalifornia Implant Institute, to learn advanced implant procedures. 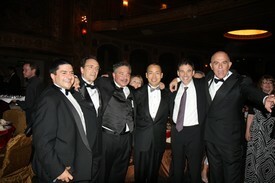 Dr Enatsu’s first implant experience was when he was a student at UCLA Dental School. The Kois Center’s concept is based on obtaining an appropriate bite to lower the risk damaging your teeth or restorations. In addition to Kois concept, Dr Enatsu also studied at the Orognathic Bioesthetic Institute and attained a Level II accreditation. He has also taken many other courses pertaining to bite and has reached his conclusion to introduce Kois concepts at the United Dental Office Tokyo. Long before Invisalign was introduced in Japan, Dr Enatsu was certified as an Invisalign doctor by completing an Invisalign Certification Seminar in San Diego, California. A solid foundation in Orthodontic Diagnosis and Treatment was learned from the Dr Litt, who was the Chairman of Postdoctoral Orthodontics at the University of California, San Francisco. 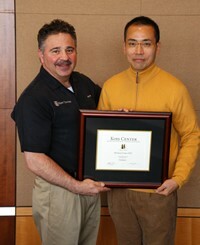 Dr Enatsu was the first from Asia to attend the Orthodontic Course for General Dentist by Dr Litt. Dr. Enatsu serves as the Director of UCLA Japan Alumni Association in charge of Dentistry and is also on the Committee on International Relations for the Tokyo Medical and Dental University Dental Alumni Association. He also lectures to the local dental society to share his clinical expertise. 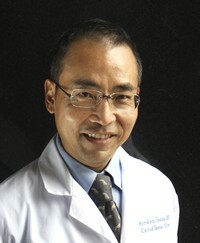 Dr. Enatsu spends many hours each year continuing his education in the United States to learn up-to-date techniques, even though in Japan, doctors are not required to take any continuing education courses to maintain their license. We have English speaking dentist to take care of more advanced treatment in respective field on need basis.